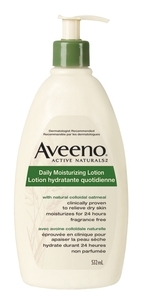 Aveeno Coupon is a printable coupon available on their Facebook page. Visit Aveeno’s Facebook page here. After you fill out a quick survey about your hair and face care, you will see a link at the bottom to claim your coupon. You don’t need to fill out any personal information, and the survey is about 8 questions. Just print it off at home and bring it into any major retailer. Ask the cashier first if they accept printed coupons. 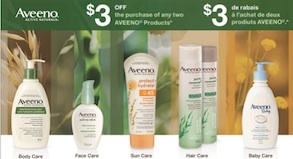 This is an Aveeno coupon to save $3 off the purchase of two Aveeno products. A pioneer in the study of natural skin care ingredients, AVEENO® has been recommended by dermatologists and pediatricians for over 60 years. AVEENO®captures the benefits of natural ingredients to create a broad range of skin care products that are safe, effective, and gentle enough to use on delicate skin.